Cabinets are storage spaces that you usually see in homes anywhere. 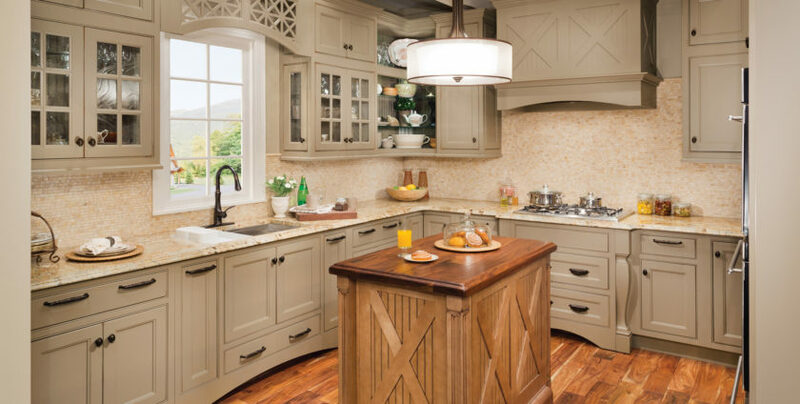 Throughout the years, kitchen cabinets are mostly kept untouched because their function is not affected by their aesthetics. However, it is always a great idea to change things up once in a while to improve kitchen design. Cabinets can also benefit from a redesign every once in a while. Change the Doors and Drawer Fronts – Two of the most banged up parts of a cabinet are the doors and drawers. They are the ones who face constant traffic since they are the only way to access the contents inside the cabinets. Scratches, scraped paint, and even having chunks of the wood chipped off are just some of the damages you can expect for your cabinets over years of use. Replacing cabinet doors and drawer fronts opens up a chance for you to refresh your cabinet’s integrity and durability. You can also seize an opportunity to change the cabinet’s style in accordance to your overall room design, So don’t forget kitchen cabinet doors! Repainting – The simplest way you can do to redesign (Cabinet Refacing) or redo your cabinets are repainting them. A new coat of paint can easily improve your cabinet’s aesthetics significantly. So with cabinet refinishing you can adjust your cabinet’s color scheme to work well with your home’s overall look. Repainting can also cover simple and smaller damages. Add Shelves or Compartments – Cabinets are meant to store things inside them. That is why adding shelves or additional compartments is a great way to redo and having your custom cabinets. You are maximizing the space by having a more compartmentalized design and providing more options in terms storage whether it is your kitchen island cabinets or the other ones. A cabinet that only has one big space is limited to storing bigger items. If you have smaller items to store, it might be difficult to stack them together or make them fit inside. You might run the risk of having these items fall on you when you open your cabinets. Additional adjustable shelves can give you flexibility to adjust the height and space of your storage. Integrate Additional Functions – Home designs, nowadays, value space and minimalism more than ever. Integrating more function is a great way to redo your cabinets. Bigger kitchen cabinet drawers can be utilized for pull up garbage bins. Some cabinets can hold appliance such as microwaves and dishwashers in a minimalist themed kitchen. Replace Your Cabinets – As a last resort, if you really need to redo your cabinets but there is no way to do the 4 previous ideas the replacing your cabinets can be considered. You can then choose to donate your old cabinets so that they will not go to waste while you choose best kitchen cabinets for your home.